"Alan Ladd in Suspense, Motive for Murder"
This collection represents some of the best performances of Alan Ladd (born Alan Walbridge Ladd) during the golden age of radio. Of slight build (five feet, five inches tall), he never considered himself to be a handsome actor. In a quote is said, "I have the face of an ageing choirboy and the build of an undernourished featherweight. If you can figure out my success on the screen you're a better man than I." 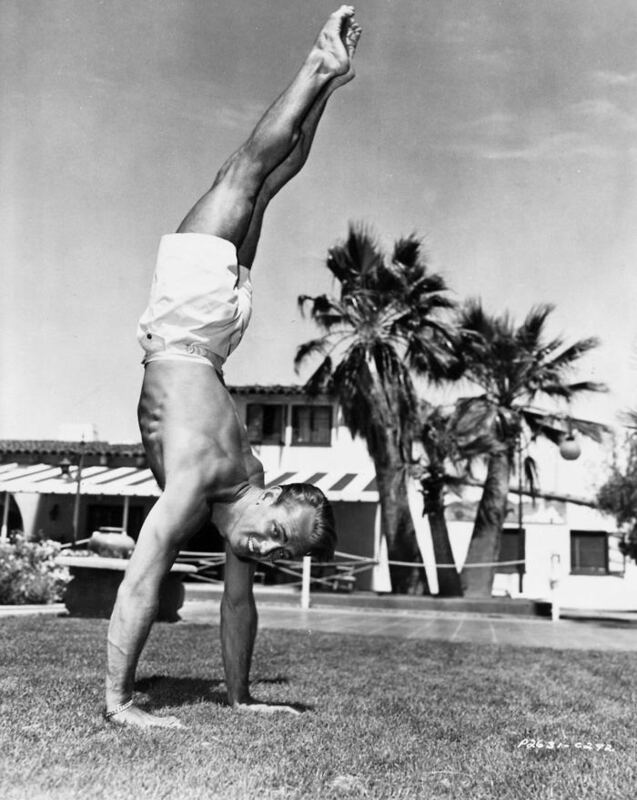 Ladd was a well-known detective action star and a western film star with a stern and unyielding disposition on stage.Alan Ladd had an extraordinary life. His child childhood was difficult and he moved to California with his single mother to work in the fields a la Grapes of Wrath. After working a series of odd jobs, he began acting in small parts on the theater, film, and radio in the 1930s. With the diligence of his agent and later second wife, Sue Carol, he was on his way to becoming one of Hollywood's brightest stars. Before breaking into film, Alan Ladd, who stood only 5'6" tall, owned a hot-dog stand known as "Tiny's." By the 1940s he was billed in feature roles in B movies and even had a role in Citizen Kane. His debut as a lead in a major motion picture was in 1942 in This Gun for Hire. This collection includes his radio version of This Gun for Hire from Lux Radio Theater.Other films that he starred in include, The Great Gatsby, The Blue Dahlia, and The Glass Key. He continued to star in major roles such as the critically acclaimed Shane in the 1950s and until his death in 1964. 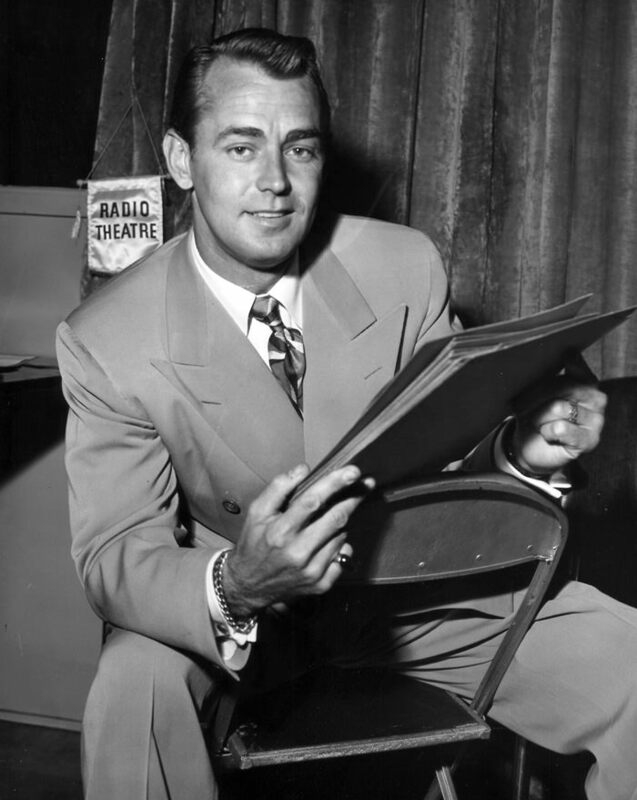 He will always be remembered both on screen and on the radio as a top-rate performer.This collection hopes to honor the work of Alan Ladd on radio. 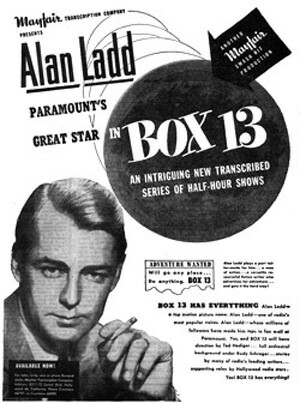 The second volumes contains the complete collection of Box 13, his most memorable role on radio as Dan Holiday. On the first volume there are also examples of some of his best work on the radio from shows such as Burns and Allen, Command Performance, Jerry at Fair Oaks, Lux Radio Theater, Screen Director's Theater, Screen Guild Theater, and Suspense. Note: Also included in the collection, like many of the OTRCAT collections, there is an special 'extras' folder with some interesting photo stills from Mr. Ladd's life and film performances. 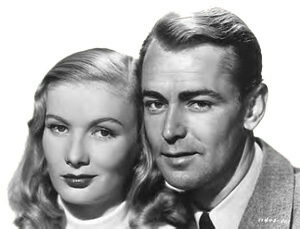 Be the first to comment on "Alan Ladd"